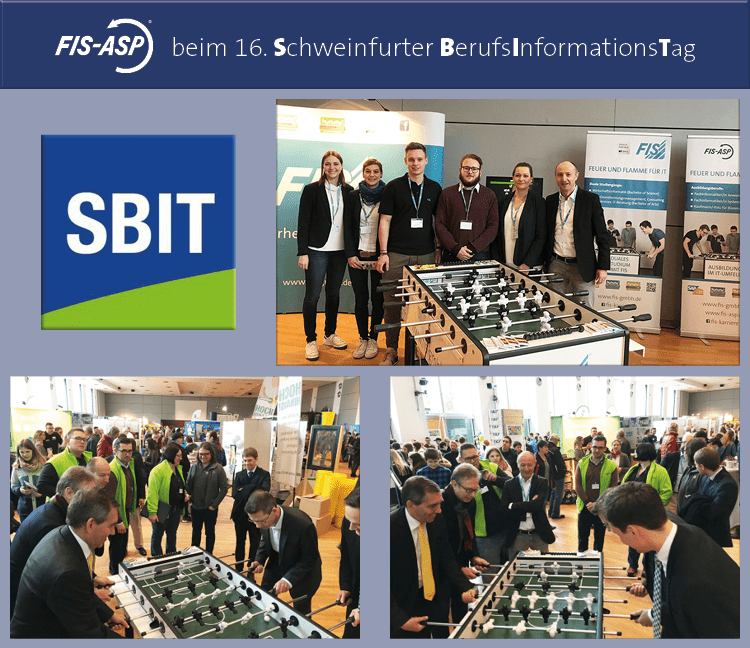 As almost every year, the regional VIPs were fighting for goals on the FIS stand at the SBIT vocational training fair. This year, city and district of Schweinfurt (mayor Sebastian Remele and district administrator Florian Töpper) were playing together against a CCI team (president Otto Kirchner and deputy CCI chief executive Jürgen Bode). The game was a table football game called “Industry 4.0 kicker”. In the course of a vocational training project, the FIS trainees had digitized this table football game and equipped it with sensors. FIS-ASP managing director Robert Schuhmann amicably blew the final whistle for the game, which ended in a draw. Thanks a lot to all motivated players!